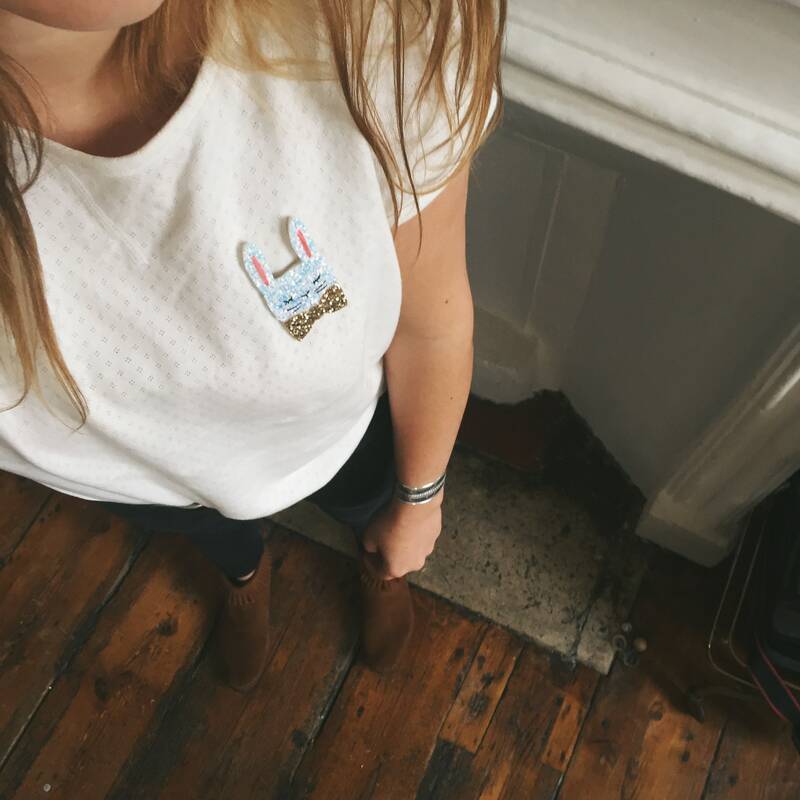 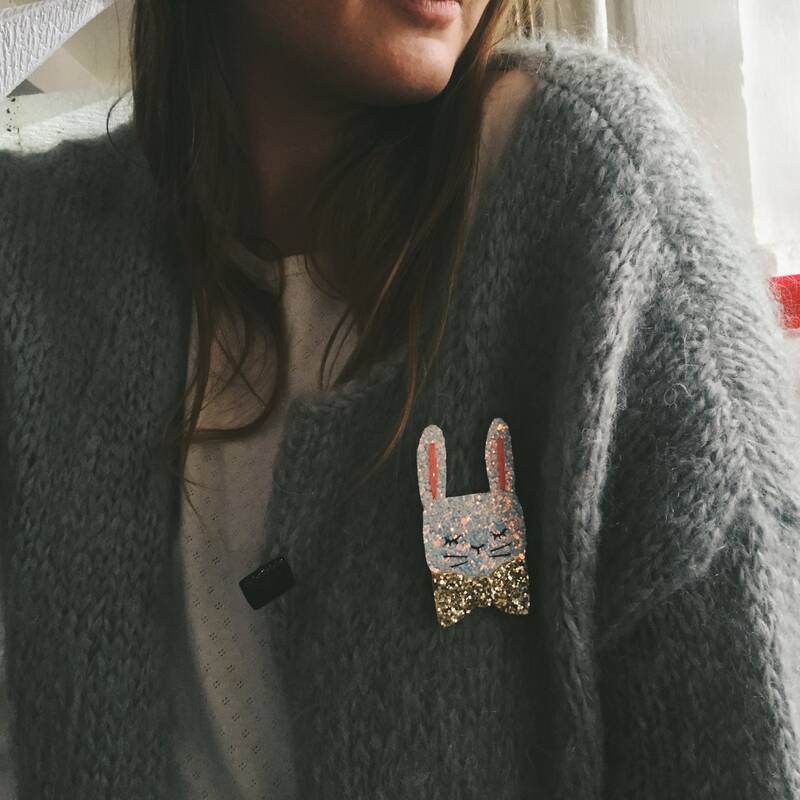 This adorable little bunny will perfectly enhance your outfits! 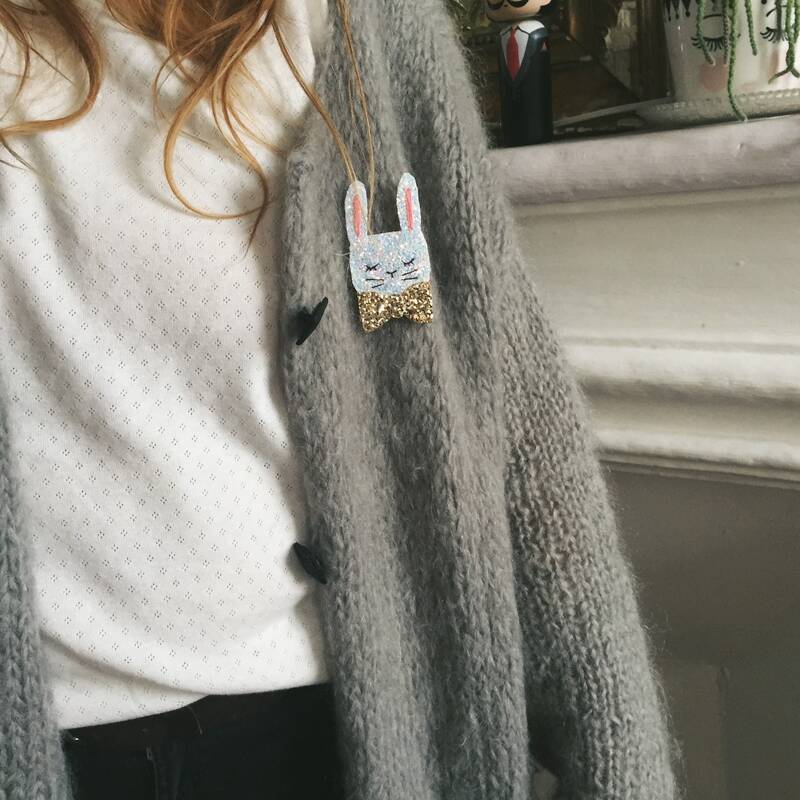 It will be perfect on your finest blazer or it will feel comfortable on a big cozy Cardigan! 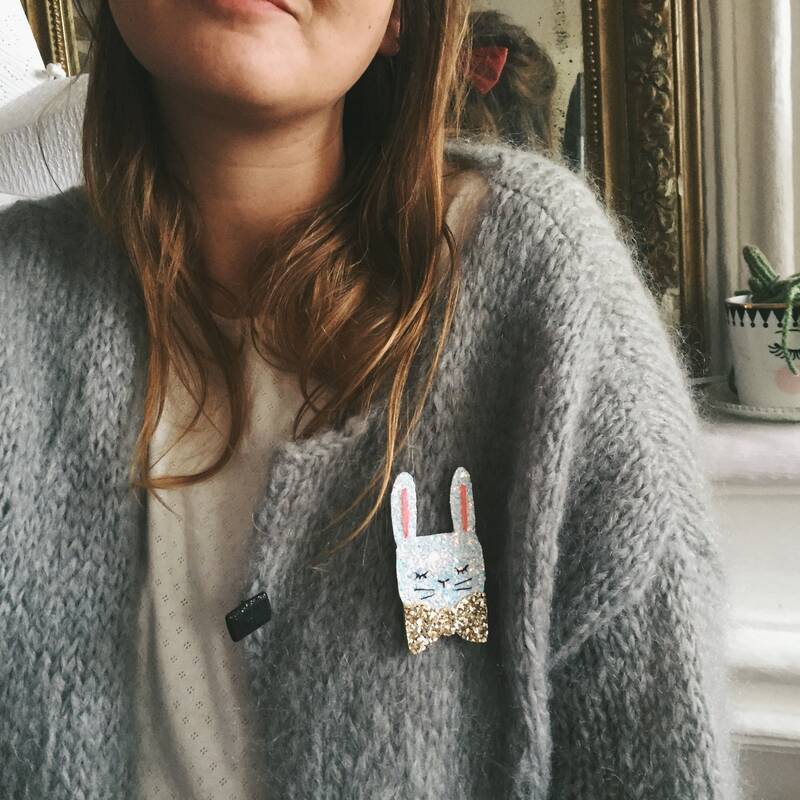 It is completely handmade and embroidered with love in La Rochelle.